If you would like to join our Choir, please email Argyri. Since the Parish was founded, the Kimisis Choir has beautified our Liturgical Services with its voices. New members are always welcome and training is provided to those that are musically inclined. Its members are a dedicated group of volunteers that devote their time and talents in this important activity. Our Choir is a member of the Eastern Federation of Greek Orthodox Church Musicians. Many members participate in the annual conference and workshops. 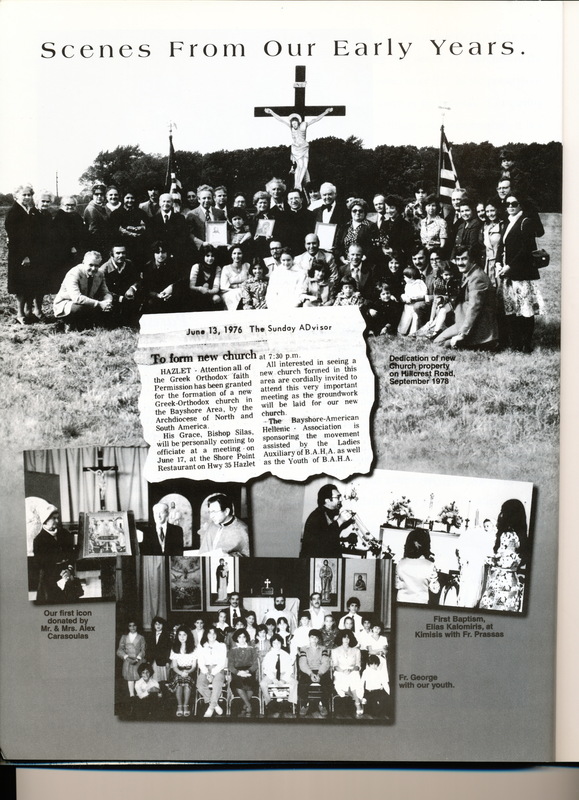 Our New Jersey District is also very active in the annual Holy Cross Celebration in Asbury Park, Christmas Concert in a different parish each year, and a Lenten Musical Offering (concert) held each year on the Friday before Holy Week in various parishes. These extra activities are on a volunteer basis. If you have any questions, feel free to contact us. Thank you. For 25 years, Marie Angelus Devino lovingly conducted our Choir. Sadly, Marie fell asleep in the Lord on March 6, 2016. 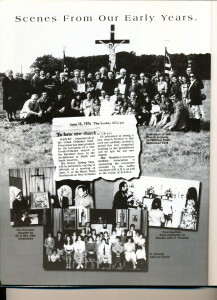 In this photo from 1978, you can see Marie Angelus, a founder of Kimisis (6th from the left). May her memory be eternal. Under the direction and teaching of Mrs. Lucy Milonas, all Youth 12 years old and up are wholeheartedly encouraged and most welcome to join this new ministry of our beloved Community. The KIMISIS YOUTH CHOIR will sing various hymns during the Divine Liturgy by themselves and will assist our Adult Choir as well. have indicated their willingness and availability to join. If interested in joining, please contact Mrs. Lucy Milonas at 732-693-1831 or at lamilonas@gmail.com. You may also call the Church Office at 732-739-1515. We look forward to a most uplifting liturgical experience upon hearing the beautiful and lofty voices of our very talented Youth! Open to all interested youth who want to have fun and sing. The rehearsals will include Religious, Greek and American songs. Cell phone number(s) for Remind 101 notices. Remind 101 is a phone app used to “remind” members of rehearsals, cancellations, etc. Please include cell phone numbers for all interested persons. When your information is received, you will be sent a welcome e-mail with additional information. Open to youth ages 10-12 who love to sing. Rehearsals will be on Saturdays, 10:00-10:45 am in the all purpose room. Please contact Mrs. Lucy Milonas at lamilonas@gmail.com for additional information. All young adults who have recently graduated from GOYA and are still in the area, either working or attending college are invited to join us.